The lighting created in Delightful reflects your personality, a state of mind and strong emotions are present in every detail. By working with our hands handcrafted we transfer our passion and devotion in everything hacemosy well born our masterpieces. 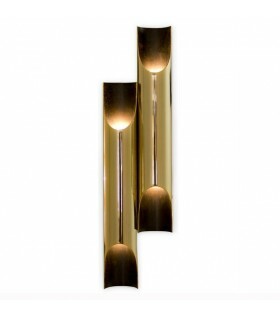 Wall light multipurpose delicate forms in any space, transmits elegance and purity.Structure in Brass and Aluminum lamp holders. 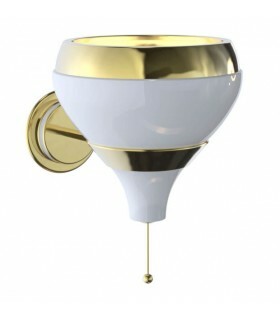 Different finishing options.5xE14 25w Bulbs Includeddimensions 30x37x18Delivery within 3 weeks. 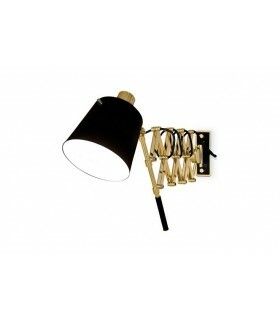 Wall light classical style with a modern twist, this lamp comes to reinvent classic designs with a high aesthetic sense. Its form is perfect to integrate into any environmentDifferent finishing options.Dimensions 18x31x12 2xE27 40w Led Bulbs IncludedDelivery within 3 weeks. 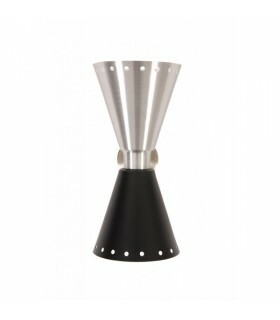 Wall lamp inspired by Jazz music, its conical shape makes it versatile for any environment. 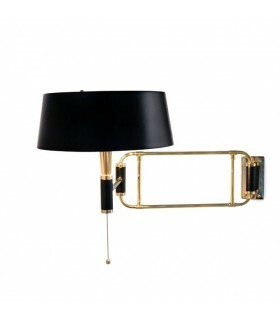 Its structure made of brass provides a classic atmosphere. 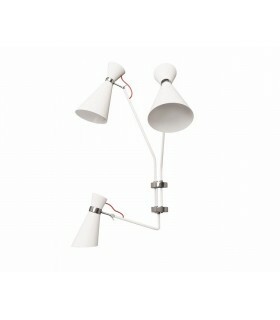 Different finishing options.Dimensions 20x24x25 1xE14 25w Bulbs IncludedDelivery within 3 weeks. 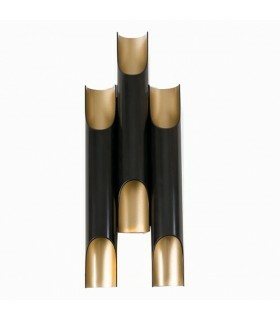 Expressive wall sconce composed of three pieces, inspired by jazz music. It is a versatile and contemporary piece that becomes even more beautiful when the light passes through their pipes made of steel. Standard finish Black Exterior, Interior Dorado Different finishing options.6xE27 40w bulbs included.Delivery within 3 weeks. 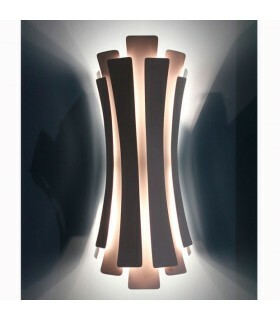 Expressive wall sconce composed of two pieces, inspired by jazz music. 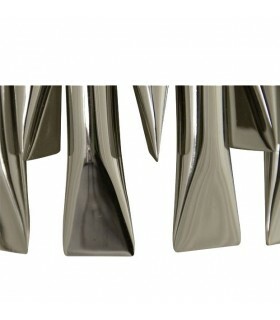 It is a versatile and contemporary piece that becomes even more beautiful when the light passes through their pipes made of steel. Standard finish Black Exterior, Interior Dorado Different finishing options. 4xE27 40w bulbs included. Delivery within 3 weeks. 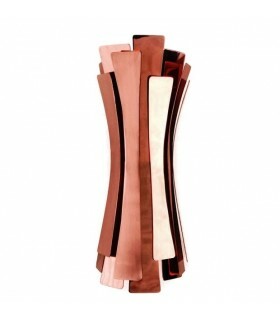 Wall sconce expressive, inspired by jazz music. It is a versatile and contemporary piece that becomes even more beautiful when the light passes through their pipes made of steel. 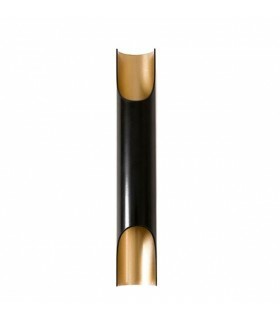 Standard finish Black Exterior, Interior Dorado Different finishing options.2xE27 40w bulbs included.dimensions 6.5x39.5x8.5Delivery within 3 weeks.